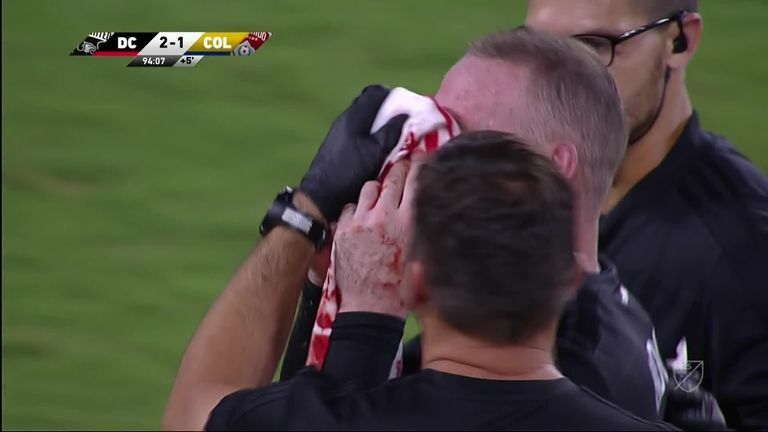 Wayne Rooney broke his nose and scored his first MLS goal as DC United beat Colorado Rapids 2-1 on Saturday night. United, who won for just the second time since May 19, took the points thanks to a last-minute own goal after Ulises Segura`s cross deflected in off Colorado`s Niki Jackson. 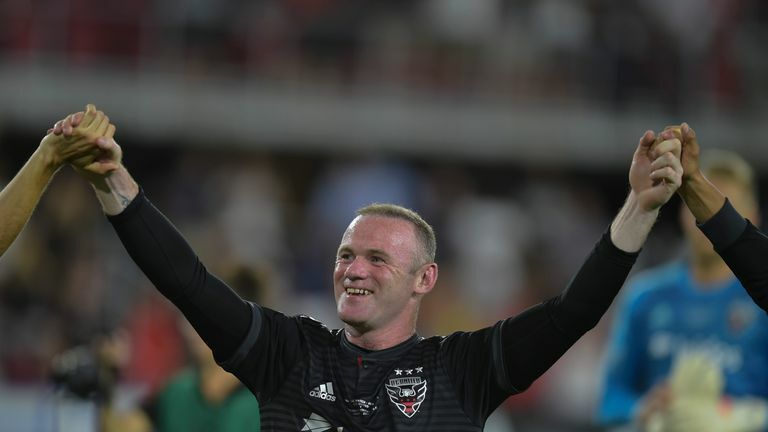 Earlier in the match, Rooney had given his side a 33rd-minute lead after running onto a pass from Luciano Acosta and slipping the ball between the legs of his former Manchester United team-mate Tim Howard. Colorado`s Kellyn Acosta equalised after chipping goalkeeper David Ousted with eight minutes to go, before Jackson`s 90th-minute own goal stretched the Rapids` winless run to five games. Elsewhere on Saturday, Columbus Crew raced into an early three-goal lead, before holding on to beat New York Red Bulls 3-2 at Red Bull Arena. Jonathan Mensah opened the scoring in the seventh minute, before running onto a long ball from Harrison Afful and finding the net. And just past the half-hour mark, New York`s Sean Davis made it 3-0. Mensah then deflected a cross from Red Bulls` Daniel Royer into his own net early in the second half, while Royer`s 69th-minute header capped off the scoring. Also in action on Saturday were Atlanta United, who beat Montreal Impact 2-1 thanks to Josef Martinez`s 23rd and 24th goals of the season in a rain-delayed game. Meanwhile, Toronto FC beat Chicago Fire 3-0 with Jozy Altidore, Jonathan Osorio and Sebastian Giovinco on the scoresheet, the hosts` first home win since May 18. Alphonso Davies - who will join Bayern Munich in January - shone as Vancouver Whitecaps overcame Minnesota United 4-2, with the 17-year-old Canadian midfielder contributing two goals and two assists. Yordy Reyna and Kei Kamara were also on target for the Whitecaps, with Abu Danladi and Ibson netting for Minnesota. Michael Barrios scored his first MLS hat-trick to help FC Dallas beat Sporting Kansas City 3-2, while Fanendo Adi netted the winner in Portland Timbers` 2-1 victory over Houston Dynamo to extend their unbeaten run to 14 matches. Finally, San Jose Earthquakes and Real Salt Lake played out a goalless draw, San Jose`s first clean sheet in 25 games.